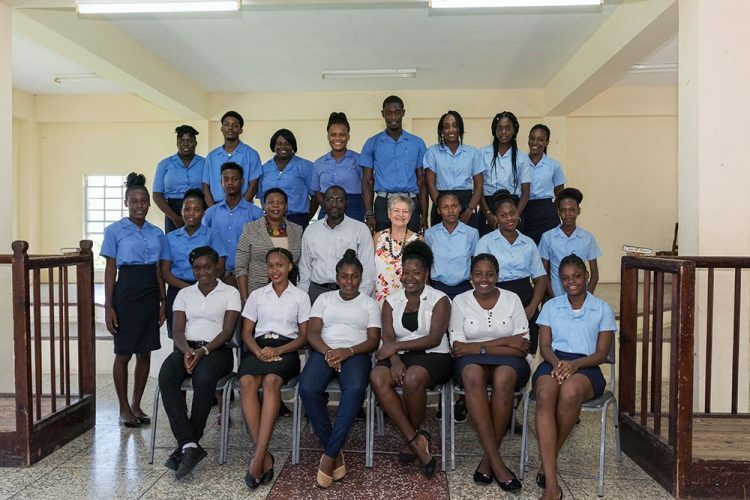 Twenty trainees attending the Barrouallie Technical Institute (BTI) have been awarded partial scholarships from the Mustique Charitable Foundation (MCF). The total value of the scholarships, amounting to US$26,000, will see trainees receiving 80 per cent of the cost of their transportation where applicable, lunch, portfolio development and registration fees. During a ceremony on Wednesday, September 20, project director of the Mustique Charitable Foundation Lavinia Gunn spoke on behalf of the Foundation and encouraged the trainees to take their training seriously and to continue on the path of career development, even after completing their programme at Bartech. Gunn also used the opportunity to highlight the many contributions which the Mustique Charitable Foundation has made to the development of youth in St Vincent and the Grenadines (SVG) and noted the Foundationâs continued support to Technical Vocational Education and Training (TVET). Principal of the Institute, Pearlette Primus Hannaway expressed gratitude to the MCF and challenged the recipients to use the assistance for the purpose for which it was intended. She reiterated that this partnership will be treated as a business arrangement and will demand of the awardees value for money, since they are being equipped with a skill so that they can become productive citizens, contributing to the overall economic development of their family and by extension, SVG. Primus Hannaway also stressed that the partnership will serve to strengthen the thrust to which the Barrouallie Technical Institute is committed, that of building a quality brand. Senior education officer with responsibility for TVET Endall Johnson was also in attendance and thanked the MCF on behalf of the Ministry of Education. He also urged the trainees to be grateful and to make good use of the opportunity afforded them. The trainees are currently pursuing training in one of five Level 1 Caribbean Vocational Qualifications programmes: Data Operations, Commercial Food Preparation, Food and Drinks Service, Building Construction and Garment Production. An expansion of the programme is expected later this year with the completion of a block to house programmes on General Construction and Agriculture, which is funded by the Caribbean Development Bank (CDB) and the Government of SVG.